The College of Liberal Arts and Sciences at Wayne State supports a host of museums, exhibits, and community engagement programs that make an indelible impact in the community of Detroit and around the globe. Detroit's first geology mineral museum is home to over 350 artifacts on display spanning a collection of nearly 50 agates from across the globe. The museum also features a private collection once owned by Thomas Edison and a display of antique miners' lamps dating as far back as the 1800s. Open Fridays, 5 – 7 p.m., and by appointment. Located in the lower level of Old Main, suite #0205. As an educational and research component of the Department of Anthropology, the central mission of the Grosscup Museum of Anthropology is to train and actively involve WSU students in the activities of preservation, research, interpretation, and exhibition of material culture for the benefit and enrichment of the local community. Each space showcases the culture, art, and historical artifacts of the diverse nations represented at WSU and beyond in rooms where our students learn about global cultures, classics, and languages. Ethnic Heritage Rooms include African American, Arabic, Armenian, Chicano-Boricua, Chinese, French, Greek, Hungarian, Italian, Japanese, Lithuanian, Polish, Romanian and Ukrainian. The Wayne State Museum of Natural History houses the largest collection of vertebrate specimens on campus featuring exotic species on display from all over the world. The museum offers guided tours for classes and families interested in learning about the natural history and other topics such as diversity in nature adaptation, Michigan plants and animals, evolution and extinction, animal classification, and taxidermy. The WSU Planetarium is an astronomical education resource for Wayne State students and the larger Detroit community. The planetarium features weekly fulldome screenings open to the public, K-12 school groups, and special interest groups to learn about the planets, our solar system, stars, galaxies, and other wonders of the universe. The Corps is a combined academic and mentoring program for Detroit public school students in grades 6 – 12. It features a summer camp, year-round Saturday programs, and enrichment courses for elementary school children. The program's success was featured in the Emmy-winning documentary, It All Adds Up. Hosted by the WSU Planetarium, Camp Cosmos is a two-week summer astronomy/physics day camp designed for student ages 12 – 15 (suggested grades 7 – 10). This community-based writing program is led by faculty and graduate students committed to effecting social change by teaching and researching literate practices in local communities. The Science Hall greenhouse, reopened in 2016, has been the focus of a flurry of activity. Initially filled with vegetables and flowers destined for the Warrior Gardens, it has since morphed into a nursery for native Michigan plants that have been finding their homes in campus and community projects. The Detroit Biodiversity Network, a student organization focused on introducing more sustainable practices to campus and reaching out to like-minded organizations and community members, has been overseeing greenhouse operations – regular plant care and greenhouse maintenance, project planning, and installation, and volunteer coordination – and networking with the community through a variety of channels and venues, including the WSU Farmers' Market. We have also hosted several presentations in the greenhouse, including ones on native plants and our resident peregrine falcons, as well as events like Junior Insiders Day and school group field trips. We hope to continue our current operations and expand in the near future. Our observatory is a state-of-the-art 20-inch robotically-controlled observatory located in the high desert of New Mexico at an altitude of 4,128 feet. This location has some of the darkest skies in the nation. 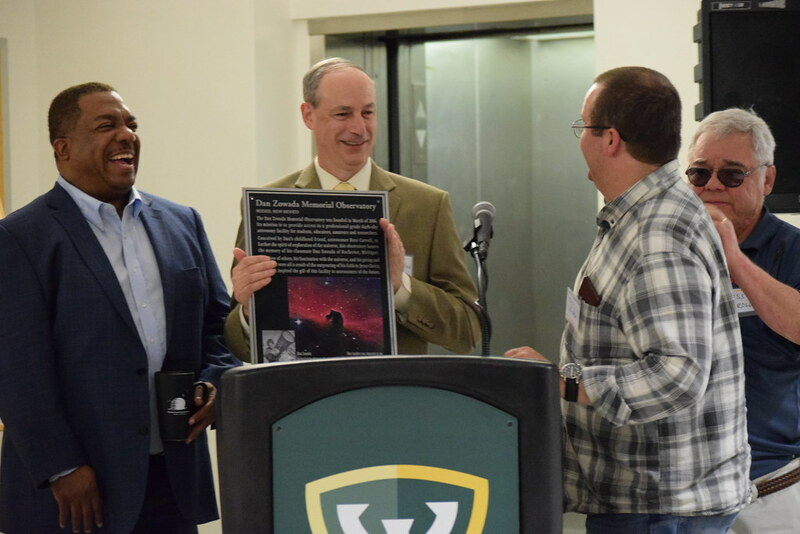 The Department of Physics and Astronomy acquired the observatory in 2017 when Russ and Stephanie Carroll chose Wayne State as the recipient for this unique gift. The observatory is named in honor and memory of their friend, amateur astronomer Dan Zowada. The observatory consists of a 20-inch PlaneWave telescope on a Paramount ME II mount, housed in a 12.5-foot Astrohaven robotic clamshell dome. The telescope is equipped with an SBIG STL-1001e camera with LRGB and H-alpha filters. Sky conditions are monitored by an all-sky camera and a weather station. WSU faculty and students control the observatory from Detroit via software allowing them to schedule observations remotely throughout the academic year. 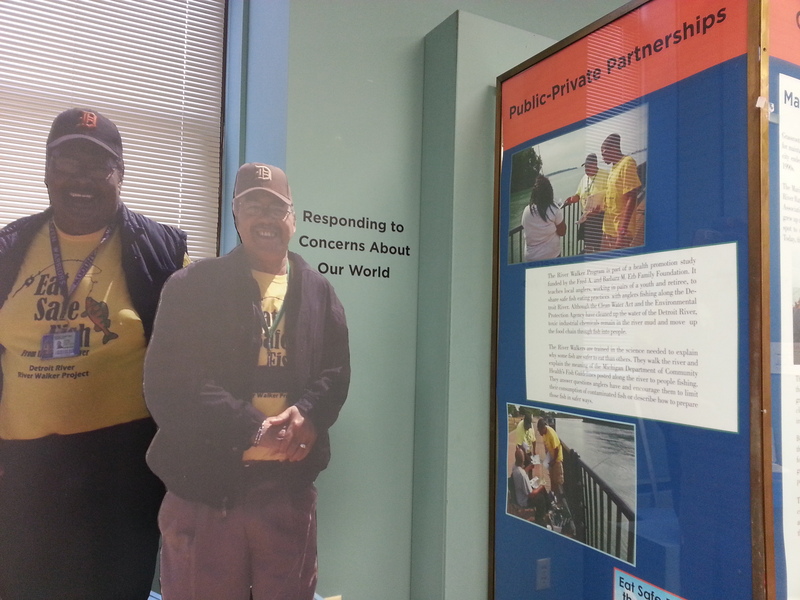 The observatory serves the campus community through teaching, research, and community outreach. Our Anthropology department has developed a material culture lab that contains various secular and religious objects and artworks gathered during ethnographic fieldwork by Dr. Guérin C. Montilus from Benin, Nigeria, Haiti, Cuba, and Brazil, among others. The lab is dedicated to illustrating concepts, theories, and studies of cultural anthropology (as well as archaeology and linguistics) in the arts and social life including symbolism, myths, rituals, spirituality, magic, witchcraft, sorcery, syncretism, healing, and shamanism. The intent of the collection is to enhance the learning experience of students, promote scholarship, stimulate theoretical discussion, and provide anthropological explanation with ethnological foundation. Through these objects, students and scholars are exposed to fieldwork data, which embody the mental constructs and daily practices of people in various cultures. The objects convey the emic discourses of natives making the lab a living institution of communicative language within the Department of Anthropology. Lab holdings include paintings, wood sculptures and furniture, brass figures, musical instruments, appliqué, weavings, copper plaques and ceremonial objects demonstrating the use of material culture in the secular and religious lives of the cultures represented. Located on the rooftop of the Physics Building on the Main Campus in Midtown Detroit, Wayne State University's weather station was instrumented in summer 2018 by students through WSU's Department of Geology and Environmental Sciences Program. This campus resource offers half hourly and daily streams of meteorological data such as rainfall, wind speed and direction, air temperature and humidity, and incoming solar radiation. These data are not only used as a learning tool in WSU courses but are a valuable planning resource for the local community. Weather@Wayne also captures real-time images of the city skyline using a camera that monitors vegetation change in Detroit's urban forest – providing a metric for carbon accounting, consistent with WSU's Sustainability Strategic Plan. Real-time data, graphs, and webcam images from Weather@Wayne are available online through Weather Underground. Follow Weather@Wayne for daily recaps, forecasts, and alerts, or visit Weather Underground. The Wayne State Audiology Clinic is equipped to provide complete audiologic evaluations to both adults and children at no cost. The clinic is a registered diagnostic follow-up center for the Michigan Early Hearing Detection and Intervention program, providing infant hearing screenings and follow-up hearing screenings for all infants and children at no charge. The audiology clinic provides valuable learning opportunities for Wayne State University students enrolled in the audiology doctorate (Au.D.) program. Students are supervised by licensed audiologists. Our psychological clinic offers Detroiters and WSU students assessment and treatment on a sliding-scale fee basis. The clinic is a training facility for the Department of Psychology Ph.D. program in clinical psychology in therapy, DBT, and assessment. The Psychology Clinic provides first-rate and affordable psychological services especially psychological assessment and psychotherapy. Students and faculty at the clinic conduct research on the origins, assessment, and treatment of psychological problems.